77243 OBL GERMANY (1915) Balloon defense gun. 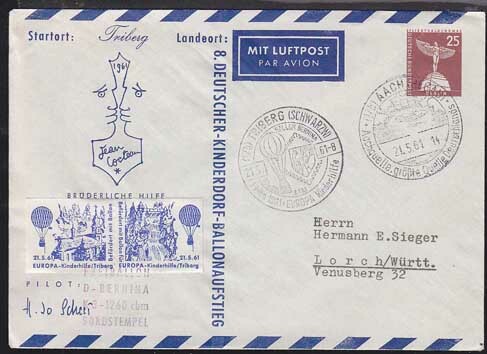 Feldpost post card with violet circular handstamp of 20th Ballon abwehr kannonen-zug. WWI mobile anti-observation balloon gun. 77235 OBL GERMANY (1916) Balloon Feldpost. 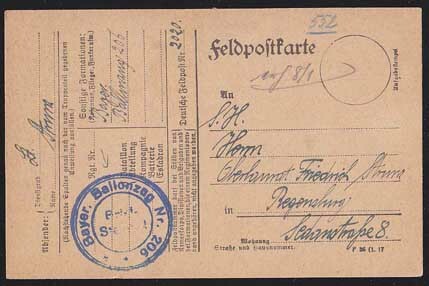 WWI Feldpost envelope to IV Army Corps HQ with Balloon post violet circular cancel. 77244 OBL GERMANY (1917) 206 Bavarian Balloon group. 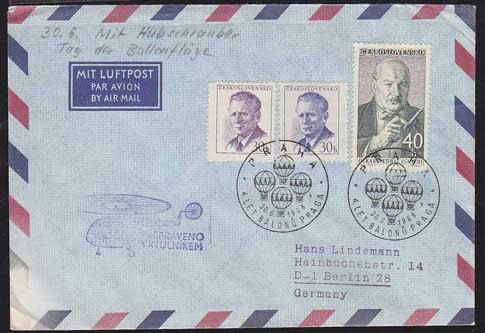 Feldpost post card with blue double-circle handstamp - Bayer. Ballonzug Nr. 206. 77520 ENT EAST GERMANY (1931) Zeppelin. 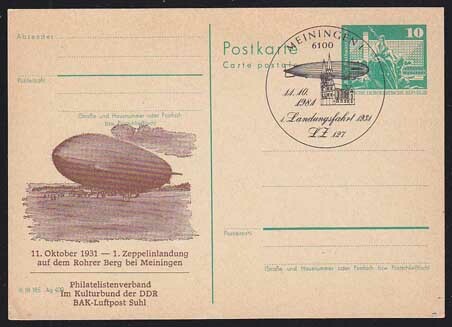 10 pf postal card with corner illustration of Zeppelin landing in Meiningen. Special 50th anniversary cancel. 77242 ENT GERMANY (1937) Montgolfier balloon. 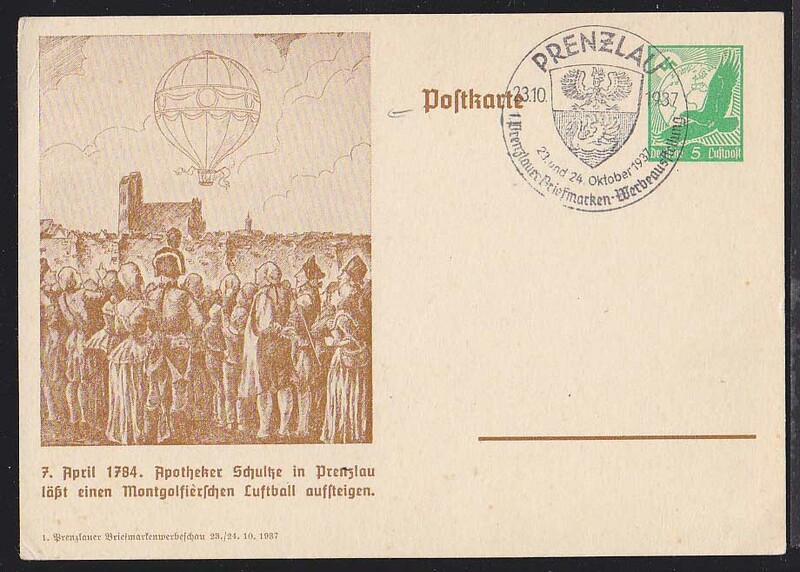 5 pf postal card (used with Prenzlau CDS) with corner illustration of 1784 launch of Montgolfier balloon in Prenzlau. 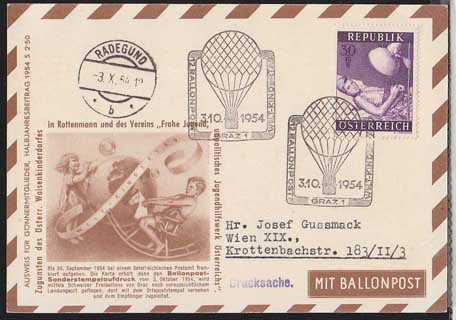 77237 OBL GERMANY (1937) Balloon. 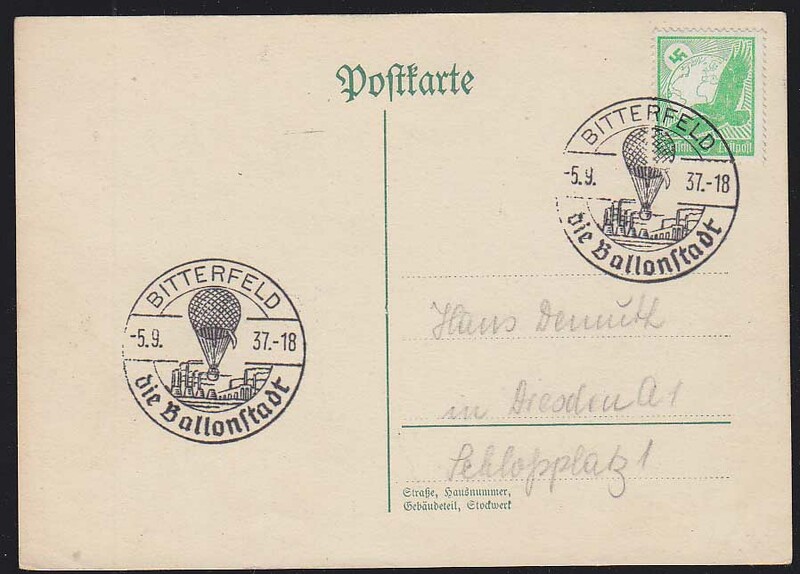 Postcard with cancel of Bitterfeld die Ballonstadt. 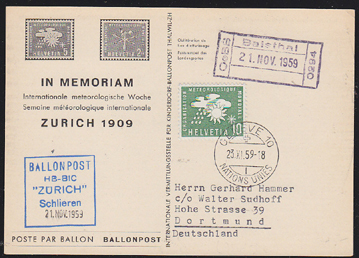 77228 OBL GERMANY (1951) Balloon post. 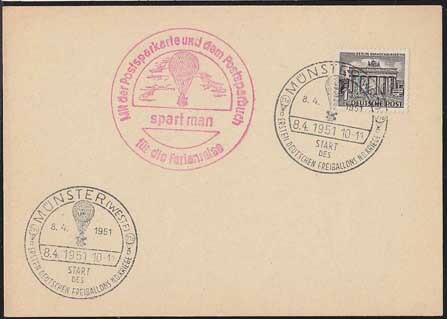 Unaddressed envelope with Munster ballon post cancel and spartman red circular handstamp. 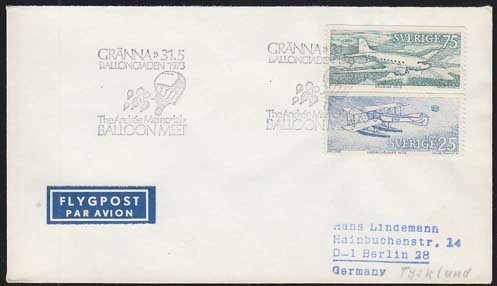 77246 OBL GERMANY (BERLIN) (1961) Balloon. 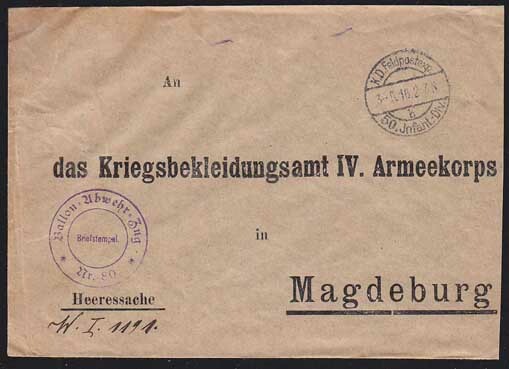 Envelope with cancel for Triberg (Schwarzwald) Kinderhilfe. 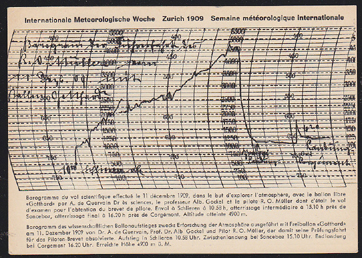 Plus 2 labels tied by cancel and signed by the pilot. 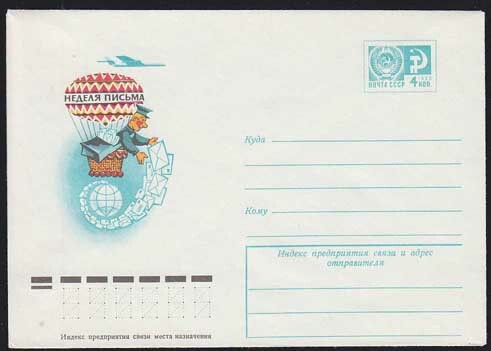 77239 ENT RUSSIA (1966) Ballon Mailman Delivering Letters. 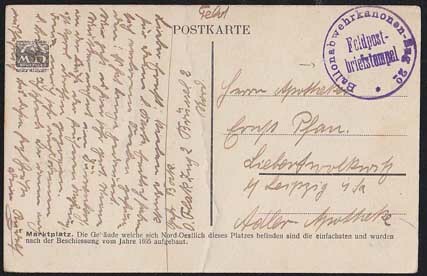 4 kop postal stationery with corner illustration. 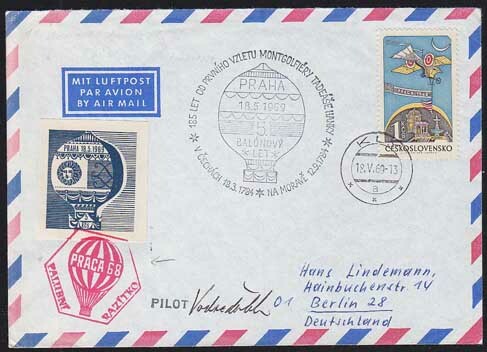 77379 OBL CZECHOSLOVAKIA (1968) Balloons ascending*. 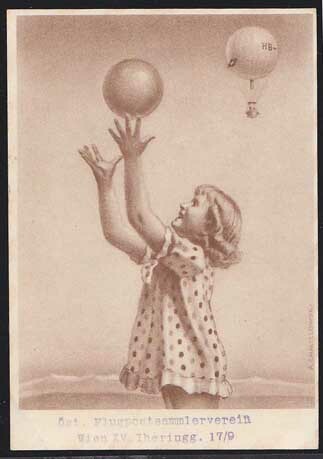 Illustrated cancel on envelope for Prague ballon festival (4th year). Helicopter handstamp. 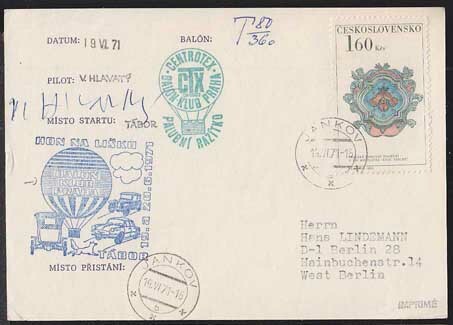 77241 OBL CZECHOSLOVAKIA (1969) Balloon. 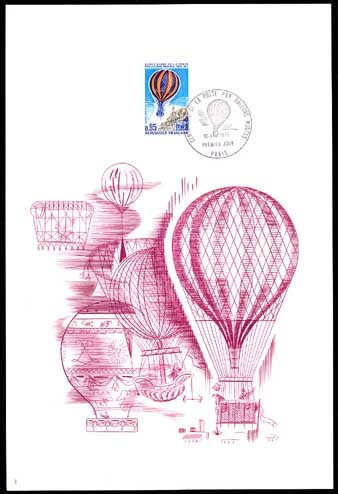 Envelope with cancel for 185th anniversary of Montgolfier ballon, plus red hexagonal handstamp for Praga 68 tying Praha 69 label. Signed by the pilot. 77236 OBL BELGIUM (1970) Balloon. 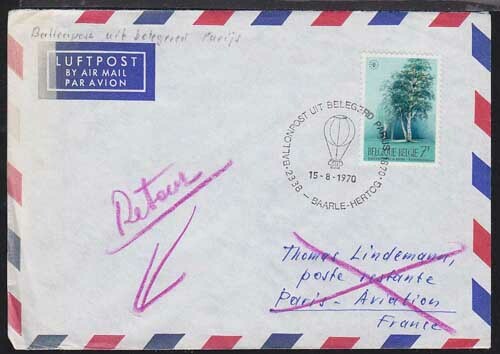 Envelope with cancel of balloon post from Paris besieged in 1870 (100th anniversary). 77238 OBL BELGIUM (1971) Ballon Monté. 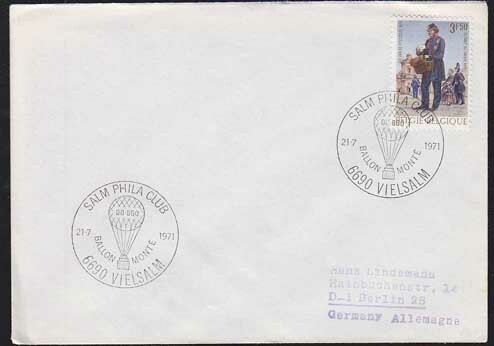 Balloon cancel of Salm Phila Club on envelope. 77227 OBL CZECHOSLOVAKIA (1971) Centrotex Ballon club. Balloon post cachet on envelope. 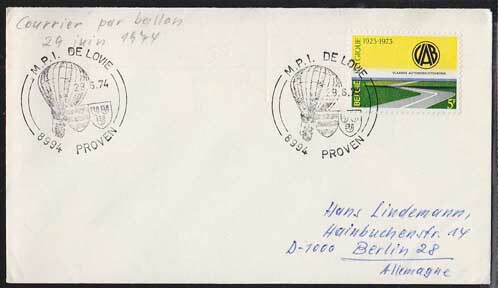 67231 FDC FRANCE (1971) Balloon*. Centenary of Balloon post*. Philatelic First Day document with special engraving thematically related to the stamp and printed description and explanation of the stamp on the reverse. Scott No C44, Yvert No PA45. 43057 ND MALI (1972) Balloon*. Plane*. Set of 2 imperforates. Scott Nos C170-1, Yvert Nos PA170-1. 77233 OBL SWEDEN (1973) Balloons. Envelope canceled with Granna balloon festival cancel. 77232 OBL BELGIUM (1974) Balloon. Envelope canceled with M.P.I. Lovie balloon. 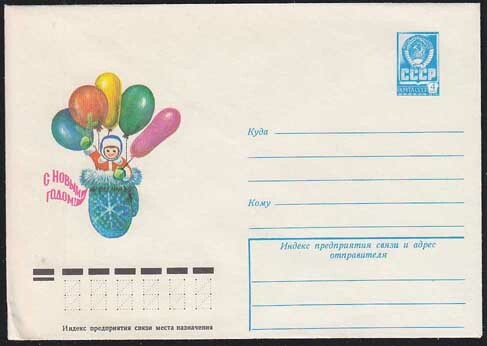 77230 ENT RUSSIA (1976) New Year child with balloons. Illustrated 4k postal stationery envelope (N).